A flurry of press releases from a private nuclear energy watchdog group – Heart of America Northwest, which is based in Seattle – has sparked a renewed inquiry into the amount of radiation the Pacific Northwest has received from the nuclear incident in Fukushima, Japan. At the time of the partial meltdown of radioactive materials in Japan, the US Environmental Protection Agency (EPA) and the Washington state Department of Health (DOH) repeatedly assured American citizens that radioactive fallout from Fukushima was minimal in our area, and had not generated any health risks, particularly in milk or drinking water. However, Heart of America’s review of the actual data collected by the EPA and DOH reveals amounts of Iodine-131 falling in Pacific Northwest rainwater that have raised concerns in some quarters. Nevertheless, both the EPA and the DOH reconfirmed their pronouncements that the residents of Washington did not experience any health risks during the aftermath of the Fukushima crisis. At the heart of the issue is the question of how to interpret the findings, made problematic by the apparent lack of clearly defined and agreed-upon health standards for a variety of radioactive components found throughout the ecosystem and food supply, such as air, rain, pasture lands, crops and milk. Radioactive Iodine-131 is of particular concern as it has the capacity to concentrate in the food chain, building up concentrations as it passes from the air into the rain, then uptake into pasture grasses and crops, and finally being concentrated in dairy milk and cheese or passing directly into the human food supply, such as with leafy vegetables. If humans ingest too much I-131, their thyroids can become diseased and children are at particular risk. Nevertheless, let’s start with the raw data to begin our analysis. The DOH has a monitoring station in the Olympia-Tumwater region and according to their web site they found 161 pico-Curies-per-liter (pC/l) of Iodine-131 in their rainwater samples on March 25, 2011, about two weeks after the Fukushima incident. (The DOH findings can be seen at: http://www.doh.wa.goov/topics/japan/rainwater.htm and a pico-Curie is one-trillionth of a Curie). The DOH also found 58.2 pC/l in rainwater on March 28, and 25.4 pC/l on March 31. Concurrently, the US EPA found similar findings in their rainwater collections at their Olympia monitoring station; such as 125 pC/l on March 24, 2011. The EPA also found 86.8 pC/l in Portland, Oregon on March 25. Further, the highest concentration of radioactive iodine in the Pacific Northwest was found in Boise, Idaho, with 394 pC/l recorded on March 27. The question that Heart of America Northwest raises is what do these findings mean? HoAN found that there are no formulas available to gauge how dangerous these levels of I-131 in rainwater truly are, and sought comparable standards, such as from the drinking water metrics, and that is where the controversy sharpened considerably. The EPA standard for safe drinking water in 3 pC/l. When the HoAN discovered that figure they issued their warnings, declaring that the area’s rainfall contained I-131 levels forty to one-hundred times above safe drinking water standards. That announcement landed them on Seattle’s KING 5 News on Monday, July 11, and since then the story has been picked-up by international media as concerns about Fukashima intensified world-wide. However, Davis Zhen, a Seattle-based nuclear health physicist with the EPA, told the Mountain News that the 3 pC/l standard for I-131 is calibrated upon ingesting a steady amount of irradiated water; specifically, drinking 3 pC/l of I-131 every day for 70 years. Hence, the concern over rainwater is seemingly askew, especially since the half life of I-131 is eight days, so it naturally disappears from the environment in a matter of months. As a result, both the EPA and the DOH dismiss the HoAN alarm. “To judge the rainwater findings with the drinking water standard is really comparing apples to oranges,” Moyer said. But, what about the concentrating effects of I-131? Also, can a peak event – such as a week or two of rain filled with I-131 dozens or hundreds of times above safe drinking water levels – be dangerous? What about folks who are stockpiling drinking water in rain barrels and cisterns? Are they at risk when their rain water becomes their drinking water? Further, what about livestock that depend upon rainfall for their watering needs? After all, our rainwater is their drinking water. The EPA was unable to provide any specific formulas to determine safe levels during peak periods of irradiation, nor could Zhen be specific on how fast I-131 concentrates in grass and livestock. But he did offer some general perspectives on how much radiation in rain it takes to make food unsafe. “For a spike of I-131 in rainwater to be unhealthy, it would have to be in amounts thousands and millions of times higher than we had from Fukushima,” he said. Further, Zhen offered the EPA’s findings for I-131 in milk as one guideline for how moderately I-131 does accumulate in food stuffs. The EPA-released data shows that I-131 in milk was non-detectible in Tacoma, and only registered 0.77 pC/l at its Spokane monitoring station on April 2. Based upon these findings, the I-131 found in Spokane milk after the Fukushima incident is vastly below the FDA’s safety standard, i.e. ; 0.77 pC/l vs. 4,770 pC/l, suggesting strongly that our food supply remained safe throughout the heaviest amounts of fallout from Fukushima. For comparison, milk “hot spots” nationwide were Hilo, Hawaii at 18 pC/l of I-131; Memphis, Tennessee at 4 pC/l; and Little Rock, Arkansas at 8.9 pC/l. On a related note, Mr. Zhen said that the nationwide system of monitoring radiation, known as “Rad Net,” is orchestrated by the EPA, but is a very secretive affair. Zhen said that even he doesn’t know who actually does the monitoring. “But I know the data collecting is done by governmental agencies,” Zhen revealed. When asked specifically if the DOH monitoring station in Olympia also functions as an EPA Rad Net site, Mr. Zhen replied in the negative. Nevertheless, during the height of the Fukushima crisis the Mountain News was unable to contact Rad Net directly, with one phone number disconnected and the second persistently busy, with no message option available. His organization has 16,000 members in Oregon and Washington, and has been monitoring the activities of the DOH, EPA and the US Department of Energy for nearly 25 years. For more information: Heart of America Northwest, (206) 382-1014, or http://www.hoanw.org/more/index.cfm?Fuseaction=more_47589 . Over 25 years experience in food storage and emergency preparedness. 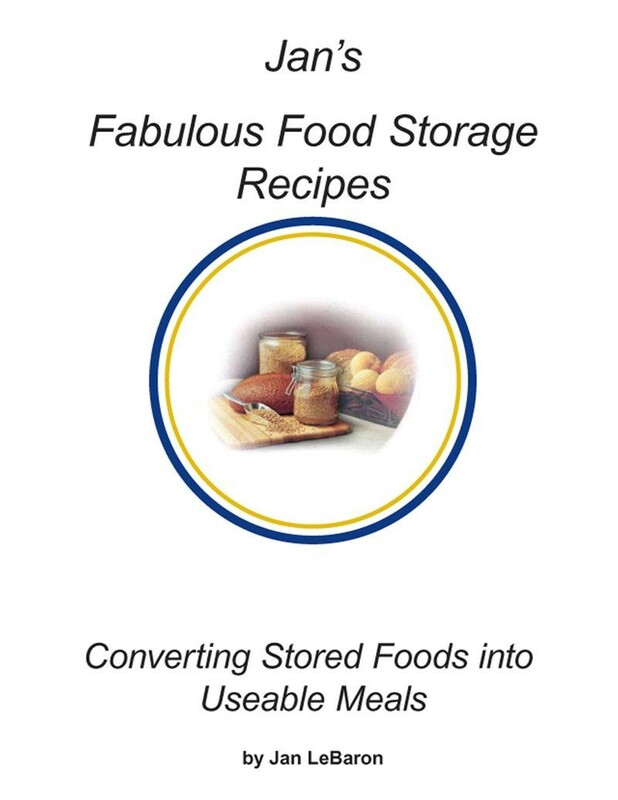 Author Jan LeBaron is author of the unique cook book, Converting Stored Foods into Useable Meals, where she shares recipes on how to cook tasty meals during emergencies. Features how to make powdered milk and powdered egss yummy! For more information, click on her ad in the right-hand column. Thanks. This entry was posted in Environment, Events, Nature, Science and Technology. Bookmark the permalink. After re-reading this article, I would like to commend you for a well researched and written piece. If the EPA is telling the truth, it would seem that we need not worry about radiation from Fukushima. Well done.